She was born September 12, 1919, in Fowler to the late Dennison Clair & Artella (Rogers) Dooley. 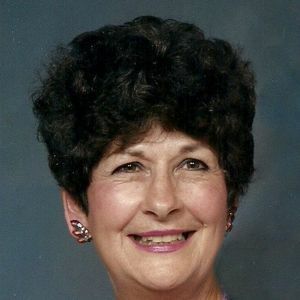 She is survived by her daughter, Melanie (husband, Douglas) Richwine; daughter-in-law, Linda Watson Stansburg; sister-in-law, Fran Dooley; six grandchildren, Dr. Suzanne (husband, Dr. Christopher) Hansen, Stephanie (husband, Ronald) Corradini, John "Bobby" (wife, Teresa) Watson, Kelly (husband, Damon) Massey, Stacey (husband, Michael) Grainger, and Laura (husband, Stephen, PhD) Howell; great grandchildren, Bethany, Katelyn, Amanda, Ava, Grace, Dominic, Natalie, Maddie, Lizzy, Jakob, & Chloe; and several nieces and nephews. She was preceded in death by her husband, Robert J. Watson; son, Dr. Stephen C. Watson; sister, Margaret Gilmore; and brother, Roger Dooley. Services will be at 2 p.m. Tuesday, April 16, at Brown-Butz-Diedring Funeral Service & Crematory, with Pastor Art Jaggard officiating. Burial will be at Anderson Memorial Park Cemetery. Memorial contributions may be made to the First Baptist Church, 907 N. Raible, Anderson, IN 46011.